Journeymakers are the people you meet who make your trips more memorable. People who share their spirit & enthusiasm with everyone they encounter. This month I’m partnering up with American Express for their 100th anniversary to highlight some of my favorite Journeymakers after 5 years on the road. Who are Journeymakers? The people you meet on your travels who inspire you or somehow make your journey extra special. The tour guides, locals, or others who find a way to enrich your travel experience. It was difficult for me to choose, as I’ve met so many amazing Journeymakers during my travels. But these are the people who stand out the most. Guatemala is where I met my first Journeymaker, Pedro. With my Spanish just as bad as his English, communication was basic as he guided us up the 9000 foot Volcano San Pedro on the shores of beautiful Lake Atitlan. However you don’t need to speak the same language to make a new friend. Pedro was joking around with us all the way up — stopping to point out his favorite flowers, mushrooms, and birds as we climbed. When he isn’t growing coffee along the nutrient rich slopes of the volcano, Pedro guides intrepid travelers to the top, clearing a path through the jungle with his trusty machete. The view from the summit was breathtaking. 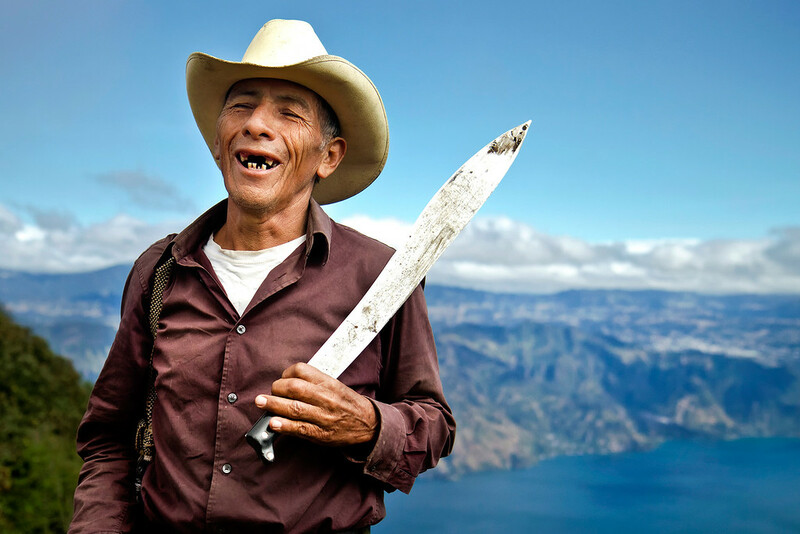 It’s humbling to know that he hikes this giant volcano every day to earn a living. Makes you appreciate how easy the rest of us have it. Pedro’s enthusiastic attitude about sharing his knowledge of the local landscape helped make our volcano adventure feel extra special. 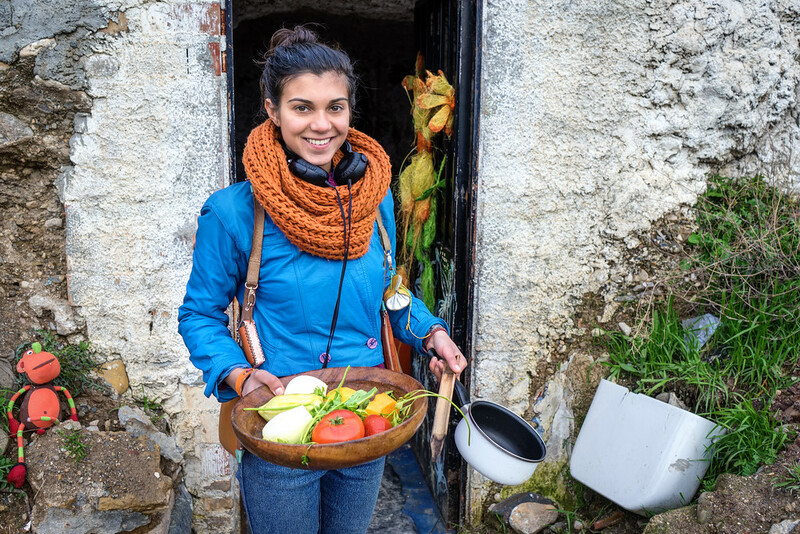 While traveling through Spain I met a remarkable community of gypsy travelers who live inside abandoned caves. Originally from Romania, Sorina and her friends kindly invited me to hang out with them and spend the night in their cave. We shared stories, food, and played music all evening. They explained how they support themselves by selling homemade crafts to tourists in Granada. Other members of the community would pop in and join us from time to time. The next day I helped them all build a vegetable garden. The generosity of Sorina & her friends will always stay with me — sharing their crowded cave with a complete stranger simply because I was curious about their lifestyle. It made me want to go out and return the favor for someone else. Thanks to them, my time in Granada was the highlight of my trip to Spain. While traveling through Panama, I teamed up with a friend to visit the Darien Gap. We hired a local Kuna indigenous guide named Isaac to lead us through this mysterious wilderness where no roads exist. 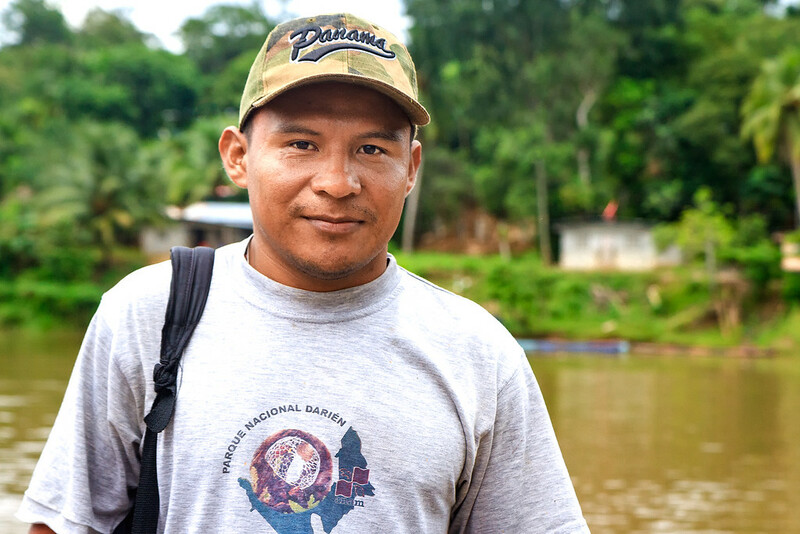 Trekking deep into the rainforest in search of rare frogs, birds, and snakes — Isaac used his knowledge of the area to locate animals we’d never have spotted on our own. But the journey didn’t stop there. Rather than pay for a guesthouse, Isaac invited us to stay with him and his family. Fishing is a major source of both food and income for the indigenous people living here. We spent an afternoon on the river hand-line fishing in the rain, later grilling our fresh catch for dinner. Thanks to Isaac’s hospitality and outdoor skills, we received a fascinating glimpse of life in Darien that not many people get to experience. 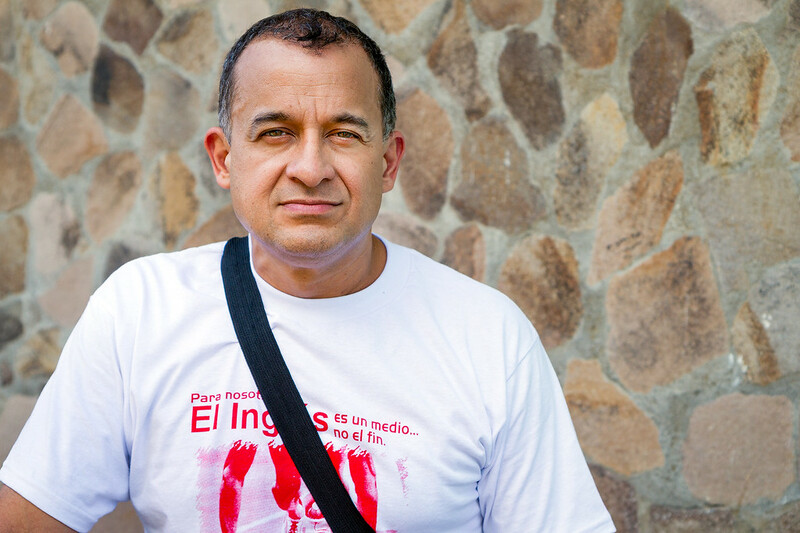 I first met Rudy while searching for street food late one night in the city of León, Nicaragua. After ordering a giant chicken empanada with rice & beans I sat down to eat alone. Another customer invited me over to join him. “No one should eat alone” he said. A former soldier from the Nicaraguan revolution, Rudy was visiting from Luxembourg where he lives now. He told me the odd story of Dr. Abraham Paguaga, a famous doctor with magic healing abilities. Together we tracked down locals to verify his tale. Eventually we ran into a pair of elderly sisters who were treated by the doctor. They invited us in for tea to share how he healed them both from sickness when no one else could. Thanks to Rudy, I learned something unexpected about an enchanting place. He sparked my curiosity and helped add a layer of intrigue to local history. 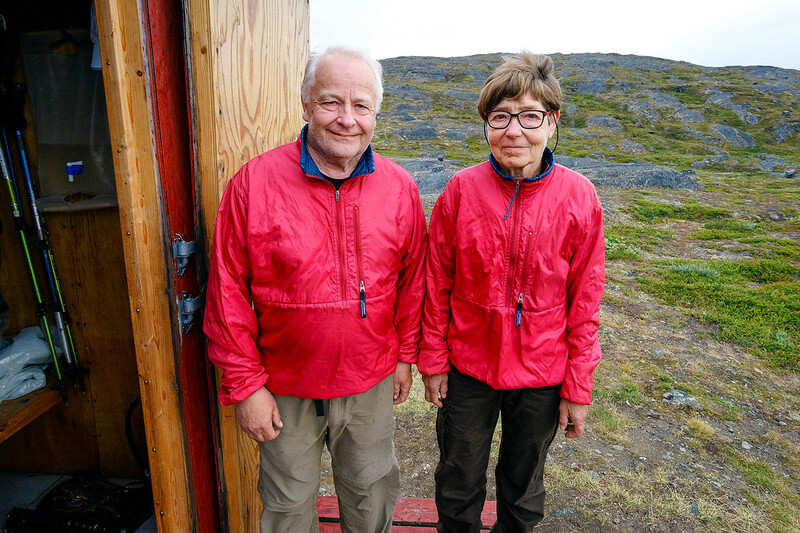 While trekking 10 days across Greenland’s Arctic Circle Trail, I unexpectedly met Fleming & Ellen from Denmark at a remote wilderness cabin 50 miles from civilization. We chatted for a few hours waiting for the steady rain outside to subside. If that wasn’t enough to impress, they’ve both hiked to Everest Base Camp and climbed Mont Blanc (Europe’s highest mountain at 15,777 ft.). They didn’t even start trekking until their 40’s either! Before we parted ways, these incredibly inspiring senior citizen adventurers gave me tips for crossing a deep river further ahead on the trail, and ideas for my next adventure. Thanks to Fleming & Ellen, I will never feel too old to seek out challenging new travel experiences. If they can do it at 70, so can we all. All these people shared their time & kindness with me while enriching my travel experience to help make it more memorable. Have you met any Journeymakers on your travels who deserve to be recognized or thanked? Visit The Journeymakers Website to create a personalized postcard to thank someone who made your trip extra special. Who has inspired or enriched your travels? You must meet some amazing people on your travels, you take really good photos as well. Just discovered your blog, keep it up! This is a marvelous post! I have met so many fascinating and helpful people on my tours and I always thank them and write to them but calling them Journeymakers and writing about them is such a great idea. I specialize in Women’s Tours, small groups and also meeting local artisans and villagers where we travel. I appreciated your info on blogging. Ready to start a new blog and your advise was very helpful. Thanks again and I look forward to more of your posts, just signed up. Hey Judy! Meeting new people is one of my favorite parts of the travel experience. There are so many things you can learn from others, especially those from different walks of life. you ´re absolutely right! That´s the best about travelling, see how other people live so differently from us! On my next trip to Indonesia i will write about them. Thanks for the nice idea! I absolutely loved this post! I’ve had some of my own journey makers and I never thought about commemorating them in a post of their own! When my flight to England got cancelled I was, for a lack of a better word, adopted by an old Swedish lady. She was so funny and sweet. We still email to this day! Ah yes! I’ve been adopted by a few little old ladies in foreign countries too. That’s great that you still keep in touch! I enjoyed reading this. Yeah true life is short and do whatever you want to do. When I was your age I was having the time of my life but now I am happy with my twins. As I look back I still think I’ll do a lot but having kids opened a lot of possibilities for me and makes me see other traits that I didn’t discovered yet. I enjoyed your blog! The people you meet when you travel are such an important part of the experience. Wow what an interesting collection of people. The people we meet on the road are the ones that make every journey to a foreign land unique and amusing. Local hosts and guides in far flung regions of any country always provide the most interesting insights and perspective. It’s such a humbling experience to witness the mutually nourishing relationship they have with their respective terrains. Imagine how climbing high altitudes or battling the harshness of the land is part of their daily routine! When living in a local village, you really get a grip on community cohesion. The uncomplicated way of life, warmth and hospitality is a nice comfort in the hectic and tiring journey. You have wonderful posts! Thanks for sharing your stories, Matthew! I completely agree Trisha, thanks for the great comment! People make your trips more special than famous sights do. Hi MATTHEW, I am always mesmerize of you amazing writing. Keep it up man. you are a good inspiration for new bloggers. All are inspiring and full of life. However, I’d love to meet Fleming & Ellen – The Adventurers. At this age, they’re exploring the world and we’re sitting in our office cubes commenting on their journey. Irony! Right? I was blown away by their enthusiasm and drive. We only have a short time on this Earth, make the most of it no matter what your age! Guatemala is one of my favorite countries — and yes the people are great! Very inspirational. Love the post and I have also met so many interesting people on my travels and never thought of doing a post about them. While walking the Camino de Santiago in Spain, I came across so many of these amazing people. Their kindnesses directly resulted in helping me, inspiring me, keeping me safe and making sure I had what I needed to finish my goals. This post is brilliant. Thank you and keep up the good work. Awesome to hear Jessi. I’ve heard so much about the Camino over the years, I’d love to walk it one day and meet others on the trail. It’s always the unexpected and rubbing elbows with residents that makes my trips! It was wonderful reading about the people you met, especially Isaac. Travel is so enriching when you meet and learn from local guides. Meeting new & interesting people is one of the best parts of travel. Hey Matt! I recently came across your website and read your posts. I have gotta say, I am totally exalted! I am 17 years old but now I have burned into my head the resolve to pursue my dream of travelling the world when I turn 23! Ill be sure to mention you as a source of inspiration in my own travel blog! Nice Bassel, you’ve got plenty of time to chase that dream. Good luck and thanks for following along. That’s what first inspired me too, reading other people’s travel stories! It’s amazing that reading this post, it feels as if I knew them all… Fleming & Ellen, were my favorite ones… Best example that you never too late to start doing what you love with who you love. Thanks for sharing.. Exactly! I want to be just like Fleming & Ellen when I’m 70. Still exploring the world and challenging myself. Interesting post, thanks for sharing your travel experience with us. Glad you enjoyed it Kanchan. It’s the people you meet while traveling who leave the biggest impact.